My friend and I had been planning this day for so long! We had a whole list of things planned but only managed to really finish 4. We actually spent 2 whole days DIYing: a day, a night and another day. But it was so much fun! Below are the results and how to make them. 1. Bunch up a bit of the shirt. 2. Tie a rubber band at the bottom of the bunched up bit. 3. If you want you can add 1 or 2 more rubber band to a few of the bunched up bits. 4. Repeat steps 1-3 and cover up the entire shirt. 5. According to instructions in your dye packet dye the fabric. 6. Once the fabric is dry remove the rubber bands and iron. 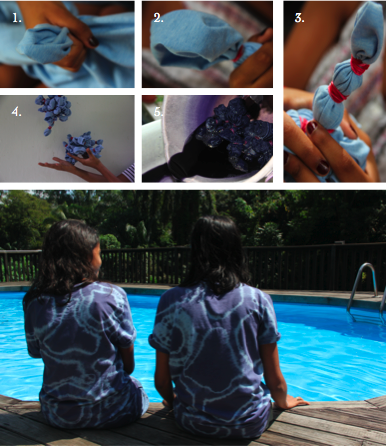 I really love this method of tie-dye because it is so much more wearable than the multicolored ones, yet still fun to make. We found this amazing tutorial at Talk To The Trees. 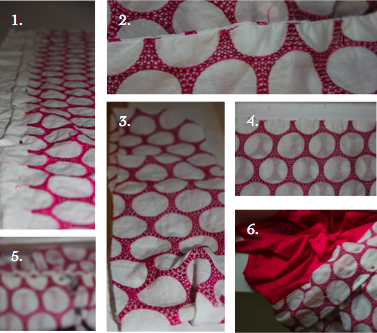 Below are just a few photos showing how we made the dresses. 1. Begin by placing the water hose grip on a flat surface. 2. 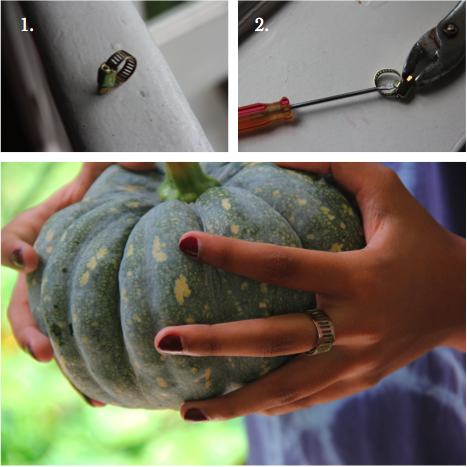 Hold the grip with pliers and pry it open using a screw driver. The ring is adjustable so you can wear it on any toe or finger that you want. At the bottom of the ring there will be a small hole, possibly a place for a jewel or embellishment. 1. 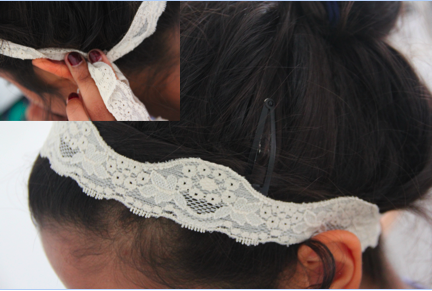 Put the lace around your head and tighten until you feel it fits right. Cut 2 cm more than where it fits right. 2. Sew the 2 ends together and wear. Just came across ur blog. You are indeed the queen of DIY! Loved all ur posts. Great job on the tie-dye! A blog for the jewelry-obsessed. Wow! You're pretty prolific with the DIY! Keep up the awesome work! Great DIY projects, I might have to give some of those a try! I love the tie-dye one! Super cool, love the ring! I may be inspired to do it again!